These weeks in between the activation of new 4G LTE markets seem to be flying by these days. Every time we turn around there is another batch of 20 or so areas of this country that are going live. It’s a beautiful thing. So today, October 20, Verizon flipped the switch officially on another set, many of which have been active for weeks. Bloomington, Elkhart, Evansville, South Bend and Terre Haute, Ind. 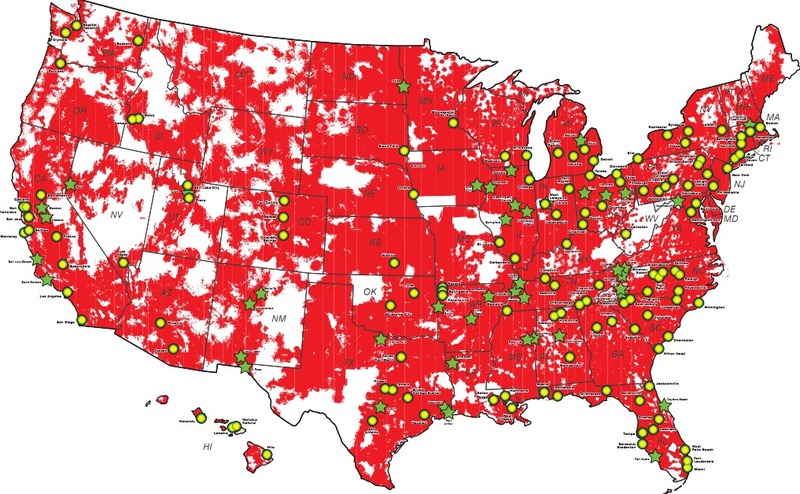 Greater Hampton Roads and Richmond, Va.
Verizon Wireless is also expanding its 4G LTE network in Los Angeles and San Diego, Calif.; Washington, D.C.; and Erie, Pa. The next batch will go live on November 17. Thursday Poll: Which Ice Cream Sandwich Features Impressed You the Most?